Do Not Make Plunge Cuts! Any craftsman worth his salt should have a circular saw in his or her collection of power tools. 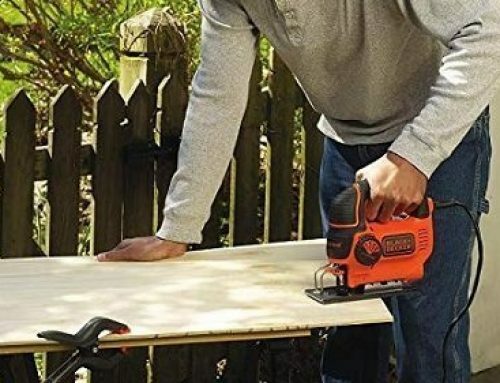 Their compact size lets you take the tool to the material, not the other way around like with table saws and miter saws, so you can perform crosscuts and long rip cuts without needing to worry too much about support. 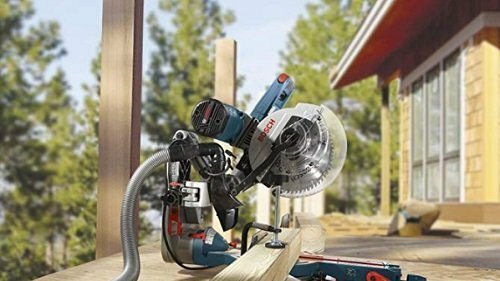 If you’re unfamiliar with how a circular saw is used, then keep reading; this article aims to explain how you use a circular saw. We’ll also include a few tips on how you can use your circular saw more safely. There are two main types of circular saws – sidewinders and worm-driven. Sidewinders are the more popular version of the circular saw. Its handle is located near the top of the tool, and the blade is on the right-hand side while most of the weight is on the left. 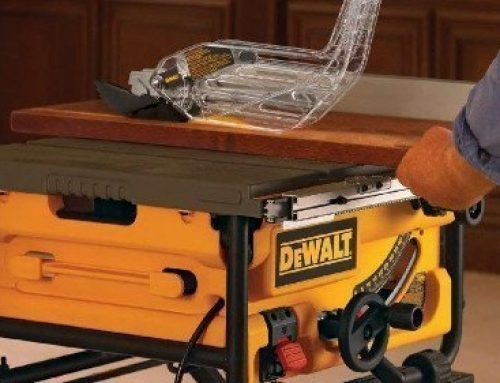 It can be quite awkward to use, especially since your sight is slightly impaired by the large motor, but after you’ve gotten to know your saw better, it’ll be one of your favorite tools to use. 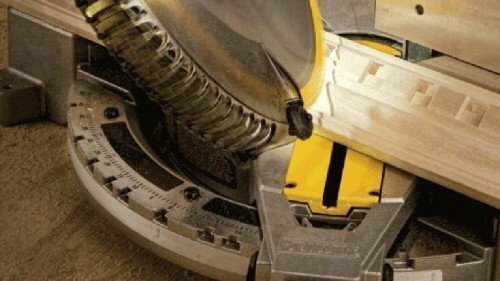 When purchasing a circular saw, know what size the blade is and how far it can reach into your workpiece. Choose a saw with a larger blade if you plan on frequently working with thick boards. A smaller blade can be used on thick boards as well, but you’ll need to flip the workpiece over to cut through it. 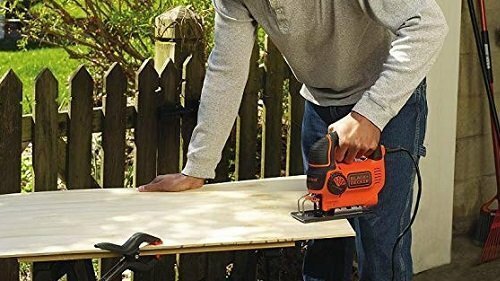 Even though circular saws don’t require a large table to work, the board still needs to be supported. You can either use a conventional worktable and let the board hang over one side, or you can purchase two sawhorses. 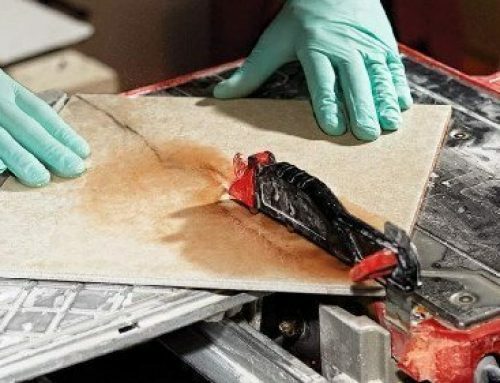 Before slicing through your material, you need to adjust how far you want the blade to penetrate the board and at what angle. The depth of the cut depends on how large the saw’s blade is. Larger blades mean deeper cuts, allowing you to dimension thick boards in a single sweep. You can use the central lever to adjust how far the blade protrudes from the baseplate. Most circular saws have a bevel capacity of up to 45°, but some models can go a little beyond that. Use the pivoting scale on the side of your circular saw to gauge how far the blade is tilted. After adjusting the depth and angle of the blade, make sure that everything is locked into place. Accidents can happen if the blade isn’t locked into place. Take a look at the baseplate of your saw. It should have markings ruler markings showing the distance from the left and right of the blade. The most important thing to look at is the “0” and line. 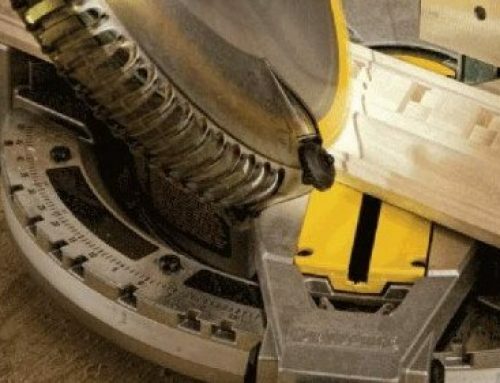 This indicates where the blade will go assuming that you’re pushing it with steady force. The “0” and line needs to be aligned as perfectly as possible to any measuring marks. After your material is propped up on a table or between two sawhorses and you know where the “0” mark is, now it’s time to activate the saw. The trigger should be located on the bottom portion of the handle, but your saw may have additional safety features that need to be disengaged before the trigger can be pulled. After the unlocking, your saw, pull the trigger while the blade is away from the material and let the blade reach its maximum speed. Following any measurement marks, push your saw slowly and smooth into the material. You might feel a bit of resistance in the beginning as the saw makes contact with your board but keep a steady hand and keep pushing. As the blade penetrates the surface of the board, the blade guard should rotate away from the blade, giving it clearance to pass through the board safe and sound. If, for any reason, the blade guard fails to back away, release the trigger and pull the saw away from your workpiece. Check to see if anything is blocking the guard from rotating. At this time, pull the guard away with your hand to gauge who smoothly it rotates back. You should only release the trigger after the blade is away from the workpiece. Let the blade move forward a few centimeters away from the board while the trigger is still engaged. After the blade is away, release the trigger and wait until the blade makes a complete stop before taking the tool away. 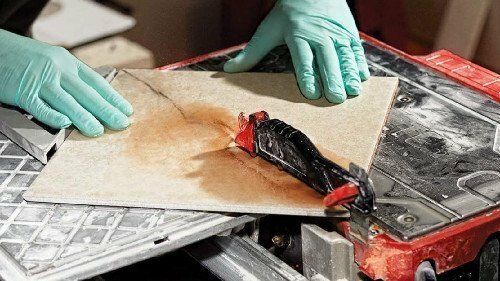 After you’ve finished cutting all of your boards, unplug the saw (if you have a corded-electric model). This will prevent the saw from accidentally turning on and potentially causing bodily harm. 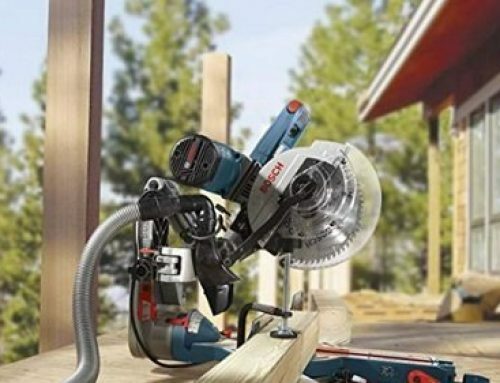 Even though circular saws come with a wide range of safety features, it never hurts to get a little extra insurance. 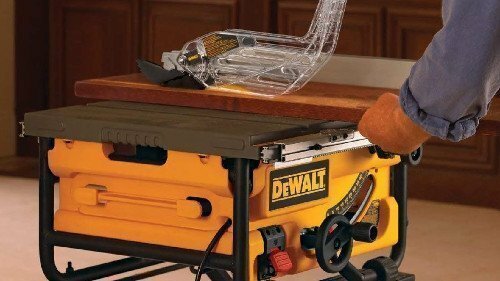 In this article, we’ll talk about the various items you should use to operate a circular saw safely. Circular saws straight from the box rely on their baseplate for support and to lead the cut. However, if you don’t have a steady hand, the saw can easily deviate from the desired trajectory, ruining your workpiece or requiring the use of another tool to fix. To eliminate this risk, you can get an aluminum rail in which the saw sits flat and guides the blade in a straight line across your board. This is especially handy when making rip cuts through super-long boards. Goggles, ear muffs, respirator, gloves (if you’re comfortable) – these are all things you need to stay safe while operating a circular saw. They can be quite loud and produce a ton of dust. A shop vac to clear the dust would be a good tool to have in your workshop as well. Traditional circular saws are not designed to produce plunge cuts – cutting the middle of a board without passing through one of the sides. There are specific circular saws built without blade guards to assist you in making plunge cuts.